The position of president doesn’t have that much power, said PPP leader Qamar Zaman Kaira. Speaking to the media in Lahore on Sunday, the PPP leader said they were willing to go to jail to speak to former premier Nawaz Sharif for the presidential election. 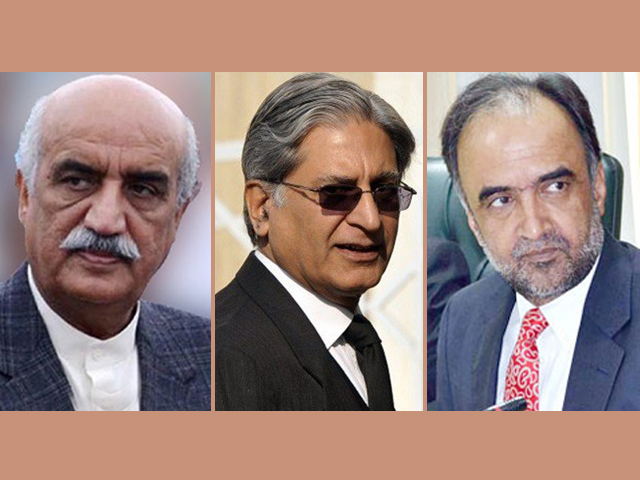 Qaira, who was flanked by Syed Khursheed Shah and the party’s presidential candidate Aitizaz Ahsan, said sometimes you need to put your own feelings aside to make compromises in politics. He gave the example of Benazir Bhutto putting aside what had been done to her and signing the Charter of Democracy. The PPP is supporting Ahsan in the presidential election, despite the joint opposition putting their hopes in another candidate. Kaira, however, said that there never was a united opposition and still isn’t one. If Maulana Fazlur Rehman, the opposition’s presidential candidate, accepts what we’re saying that will be good but if he doesn’t, we will still fight the election. We are here to contest the election, said Kaira, adding that if Rehman doesn’t accept their demands, the result will be the same – the PPP will contest the election. When asked whether they will be out of the game if they lose the presidential election, Shah said in politics, you’re never really out of the game. The game continues, he said.